I am a generalist in urban research, having taught in areas as varied as transportation planning, housing policy, urban analysis, urban studies, immigration/migration, land use planning, qualitative methods, and urban design. I aim to teach students the skills that they will need to succeed in the planning discipline, regardless of which sub-discipline they choose to work in: graphic and written communication strategies/tools, critical thinking, and cross-disciplinary approaches to problem solving. Wherever possible, I integrate guest lectures and practical projects in collaboration with partner institutions/organizations to give students real-world experience. These documents provide a summaries of the Masters and Bachelors students who I have supervised (or am currently supervising) on their thesis or equivalent final project. This is a seminar class that encourages discussion on social justice and equity issues including affordable housing, privatization of cities, gender and planning, and environmental justice. It is a mixed undergraduate/graduate class with about two-thirds undergraduate and one-third graduate students. Students choose a topic from a list which gives them a few readings to start their own research. The main assessments are a final paper and weekly videos requiring them to respond to a reading or guest lecture. They are encouraged to include planning tools and policies in their responses and final paper, and many use existing plans and tools to stimulate discussion of whether they work to promote equity and justice. This course was introduced in 2017 and students strongly supported the continuation of the course in future years. 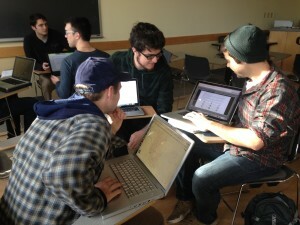 This is an experiential learning course where students work on a project with a client. In 2016, they worked in Mulgrave Park, one of the first urban renewal projects spurred by amendments to the National Housing Act in the late 1940s and 1950s. Students conducted a historical analysis of the site, came up with an individual design or programming element supporting an overall design approach developed by the class, and prepared a final report for the Mulgrave Park Caring and Learning Centre. Check out this news update about the implementation of the students’ projects! 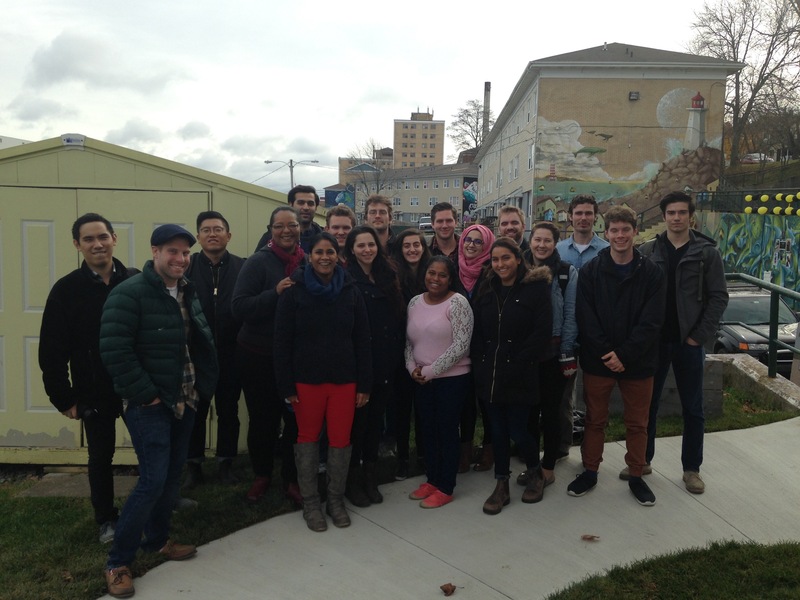 In 2017, students developed a proposal for an affordable rental housing project on Quinpool Road. They worked in teams to develop site and landscape plans, floor plans, a demographic and policy model, a financial and funding model, and a sustainability approach. Our partner on the project was private sector planning firm WSP. This course, required for our third year Bachelor of Community Design students, focuses on the built and natural forms as they transition from rural to suburban to urban communities. In fall 2017, it was reworked into a module-based course, with modules on ecosystems, landscapes and landforms (myself), demographics (Mikiko Terashima) and Indigenous planning (Frank Palermo). This mixed undergraduate/graduate course introduces students to land use policy with a particular focus on Oregon’s unique statewide planning goals. The course moves from large scale (national acts and state policy) down to the local level (comprehensive planning, site development). As many students are not from Oregon, other examples from the US and Canada are also used to illustrate land use planning concepts such as FAR transfers, transit-oriented development, and density bonuses. 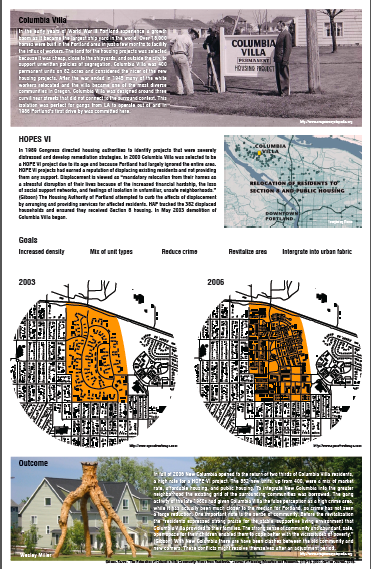 Students illustrate land use planning in an Oregon municipality in a poster (example on the right), compare a land use tool across three municipalities, and write an in-depth paper on a historic land use plan. Guest speakers are planners working at municipalities, who introduce them to city and small town planning projects in Springfield and Cresswell. This course is based on a project identified by the Sustainable City Year Program‘s partner municipality, the City of Redmond. With a population of 20,000, Redmond is a rapidly growing small city in Oregon’s High Desert, about 2 hours from Eugene. Twenty-two University of Oregon courses worked on projects identified by the city during the 2015-2016 academic year. This combined undergraduate/graduate course introduces students to the theories underlying housing policy, current practices and tools used by planners, and allows them to apply their knowledge and skills to a real-world problem. Working in groups, students focused on Redmond’s Affordable Housing Strategy review. Groups reviewed the Comprehensive Plan, Affordable Housing Strategy and other documents, determined points for implementation of solutions, and interviewed local planners and housing experts. Final reports and a final presentation to the City were required. This course is an introduction to the discipline of planning for second-year students. It introduces students to planning theory and practice through the use of applied exercises and projects, such as designing a poster that depicts a community’s housing types or examining the role of the planner. The course explains planning subdisciplines such as urban design and public health, transportation, community development and social planning, housing, and environmental planning. This course (co-taught with Rebecca Lewis) is intended to guide Masters students on the research design and proposal for their theses/professional projects. Students complete assignments designed to help them review the literature, decide which methods are appropriate to answer their research questions, and carry out their planned research. Students begin developing their research proposals the summer before the course begins and continue throughout the fall term, with the end goal to submit a well-developed and defensible proposal that has been approved by their graduate supervisor. This combined undergraduate/graduate course is designed to introduce students to the theory and practice of transportation planning. They learn how planning transportation for a region integrates behavioural, land use, and infrastructural solutions (based on Meyer and Miller’s excellent Transportation Planning: A Decision-Oriented Approach). The course is divided equally into lectures, where students learn the theory and concepts behind sustainable transportation planning, and group work sessions, where they are able to apply the lessons learned during the lectures. During group sessions, they use the three-pronged approach to developing a solution to a transportation problem in a city or region of their choice. 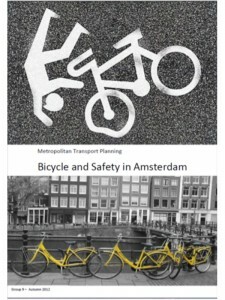 The research colloquium (co-taught with Luca Bertolini and Roel ter Brugge) is designed to guide Masters students in Planning in the design and writing of theses on urban mobility. It is taught in parallel with a research methods course and allows students to debate the application of a range of methods to answer their own research questions and test methodologies in a colloquium environment. Students have two meetings with the larger group (fewer than 15 students) and three with the smaller group (5 students) before submitting their research proposals. Masters students in the one-year planning degree begin developing their theses in February and finish fieldwork and writing by the end of the summer. In 2013, my students chose to study complete streets, public participation in transportation planning, the effects of internet shopping on retail streets, the measurement of polycentricity, and the connection between social capital and public transit. All submitted their theses with successful results within seven months. This Masters-level course (co-taught with Luca Bertolini) gives students the technical and professional skills to plan transportation in a metropolitan environment. 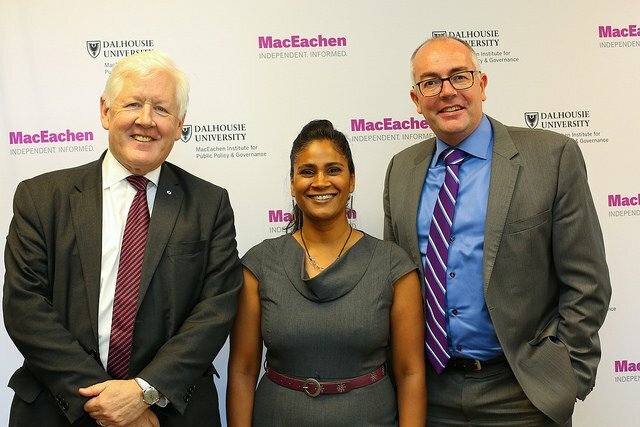 Students gain knowledge of planning and policy-making methods: problem analysis (forecasting and evaluation), design of innovative solutions and decision-making processes. 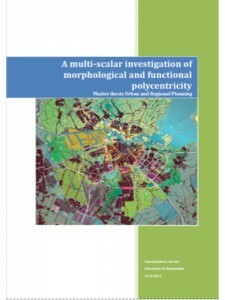 They learn to distinguish the different roles of planners in transport, traffic and infrastructure issues in relationship to spatial planners and to reflect critically on published plans and reports. They use this knowledge and skills to identify and structure a metropolitan transport planning problem and devise a strategy for its solution. The course is structured with a lecture and a working group/studio each week in Block 2, the six-week block from the end of October to the beginning of December. During the working group, students work on exercises designed to help them articulate their planning problem and solution. This course has for many years been the only undergraduate course offered at the School of Community and Regional Planning (SCARP). It’s always been a major source of graduate students for the Masters programme, so James White and I redeveloped the course as a primer for undergraduate students interested in a future career in planning. We taught PLAN 425 for two years. The course introduced students from various undergraduate degrees (geography, economics, business, psychology, landscape architecture, etc.) to the seven areas of concentration at SCARP at that time: Urban Design and Physical Planning, Urban Development, Regional Planning, Ecological and Natural Resource Planning, Comparative Development Planning, Transportation Planning, Community Development and Social Planning, and Disaster and Risk Management. Many of our students went on to Masters programs in planning, environmental design, and sociology at UBC, University of Calgary, University of Toronto, McGill University and the University of Cardiff (Wales). “Planning and sustainability.” Introduction to Environment, Sustainability and Society 2 (SUST 1001, San Patten), Dalhousie College for Sustainability. March 29, 2018. “Content analysis, surveys, and mixed-methods approaches.” Planning Research Methods (PLAN 5304, Mikiko Terashima), Dalhousie School of Planning. January 22, 2018. “Introduction to transportation and land use planning.” Transportation-Land use Planning (PLAN 3053/5053, Ahsan Habib), Dalhousie School of Planning. January 8, 2018. “Introduction to housing for planners.” Introduction to Community Design (PLAN 1001, Eric Rapaport), Dalhousie School of Planning. November 1, 2017 and October 31, 2016. “Understanding immigrants’ housing patterns in Canadian cities: active and passive strategies.” Geographic Perspectives on Immigration, Ethnicity and Race in Modern Cities (AP/GEOG 4170, Min-Jung Kwak), York University Geography Department. January 27, 2015. “Growth and decline in Canadian cities.” Urban Social Policy (GEOG 4380, Min-Jung Kwak), York University Geography Department. September 23, 2014. “Urban research methods” (with Sage Ponder, Liam McGuire, Emily Rosenman, and Sam Walker). Urban Research (GEOG 450, Dr. Elvin Wyly), UBC Department of Geography. January 17, 2012. 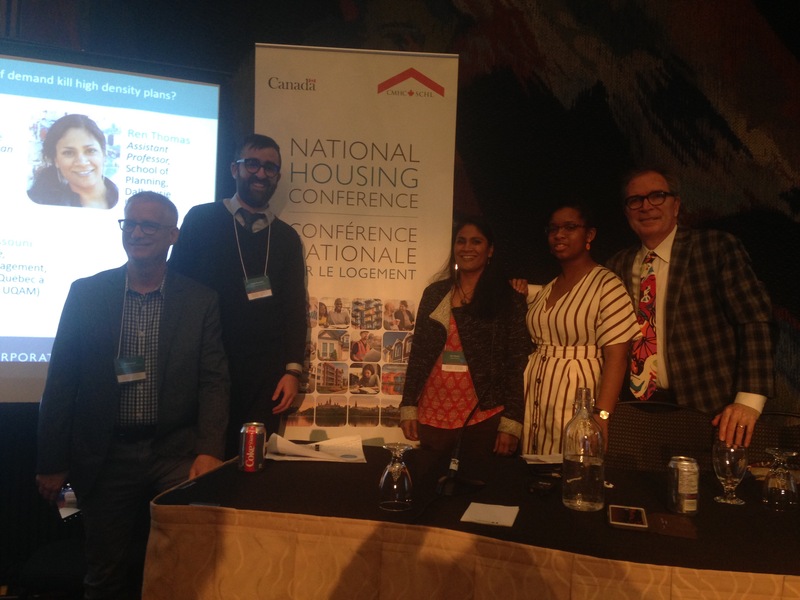 “The need for a Canadian perspective in planning” (with Silvia Vilches). School of Community and Regional Planning (SCARP) Lecture Series, March 9, 2011. “Mixed method approaches in urban planning.” Urban Analysis (GEOG 450, Dr. Elvin Wyly), UBC Department of Geography. January 11, 2011. “Housing, transportation, immigration and the city.” Urban Studies (URB 200/GEOG 250, Dr. Elvin Wyly), UBC Department of Geography. December 2, 2010. “Social Travel Patterns of Youth and Young Adults.” Qualitative Methods (PLAN 515, Silvia Vilches), UBC School of Community and Regional Planning. February 13, 2008. Dalhousie School of Architecture (Dartmouth waterfront ARCH 5002: Urban Housing Studio, Niall Savage). October 29, 2016. 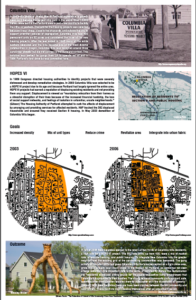 UBC School of Community and Regional Planning (Revelstoke Urban Design studio PLAN 548L, James White). November 9, 2011. UBC School of Architecture and Landscape Architecture (Robson Square Landscape Architecture studio LA 504, Alyssa Schwann). October 3 and 19, 2011. University of Oregon Department of Architecture (field studio on Granville Island, Stephen Duff). May 13, 2011.